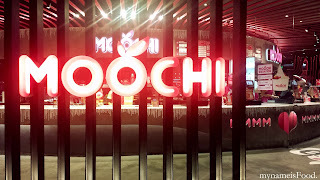 Moochi, Westfield Sydney, Sydney CBD - my name is Food. When frozen yogurt came to Brissie few years ago, I still remembered how much it boomed and then suddenly died down again after a year or so.. And then suddenly it was gone, even New Zealand Natural was already decreasing their stores.. 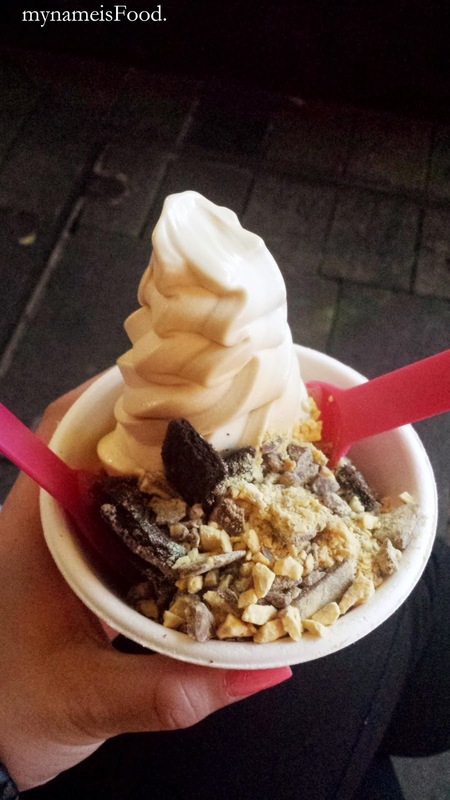 Suddenly, when 2013 hits, a boom of frozen yogurt came again and hit Brisbane, Sydney, Melbourne and so on and it seems as if the market of frozen yogurt lovers have increased through the years. 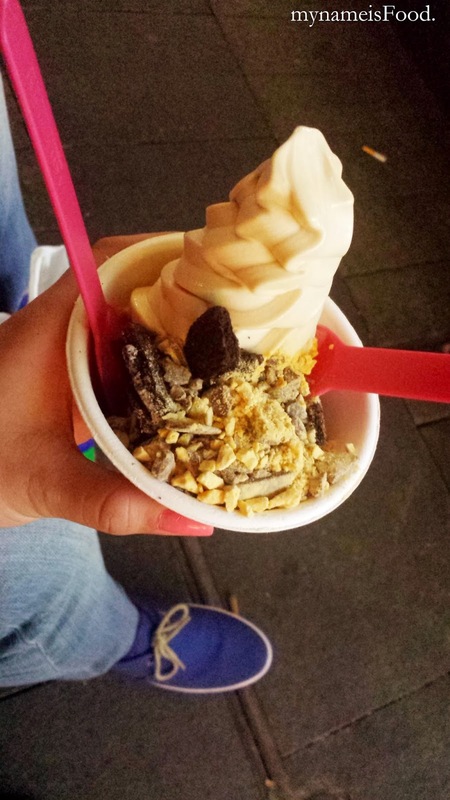 These frozen yogurts stores came in different brands and different varieties, it may have the same toppings or the same flavour of yogurt but some have said that this yogurt has a lighter feeling or not as thick, the self-serves are better than the non-self-serve, and so on... So here goes the Froyo craze nowadays which everyone is loving, even franchising everywhere, in all malls and even in unis too..
We went and tried the Moochi in Westfield Sydney.. I know, I haven't even tried the ones in Brissie and I come to Sydney and end up trying it there.. Ah well.. I guess I was just craving for it... Couldn't think of any other desserts or nibbles where we could just bring out to the outdoors and listen and watch the live music that was playing in the middle of the Pitt St... We chose the coffee flavoured yogurt as our base and chose oreo and honeycomb for our toppings.. We weren't looking for anything too heavy since we just wanted to enjoy the music as well as kill time before going off to dinner.. The flavour blended in well, and since it was quite cold, the yogurt did not melt as easily as it probably would during Summer.. A bigger cup would be nice as it was quite hard to try and get a bit of the topping and the yogurt in one bite, as you would have to scoop abit of each then eat it... Price is okay, typical and quite normal for the froyo range as amongst the froyo places, the prices seems to be nearly the same with only a tad difference.. I should probably try the other froyo places in Brissie just to compare but then, it depends if I feel like froyo or not..